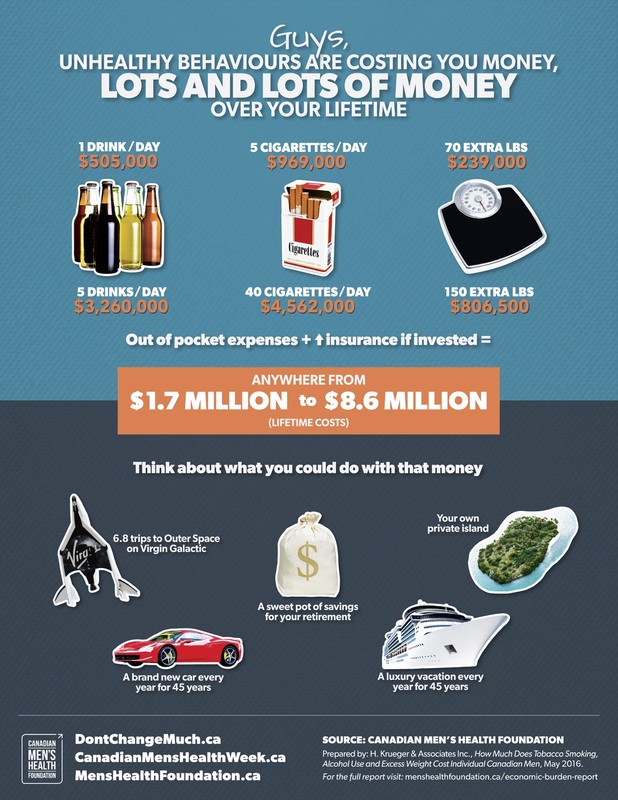 The study “How Much Does Tobacco Smoking, Excess Weight and Alcohol Use Cost Individual Canadian Men?” released Monday, June 13, 2016 shows the individual costs of these lifestyle factors and the impact they have on the pocket book of individual Canadian men. These costs range anywhere from $1.7 million to $8.6 million. 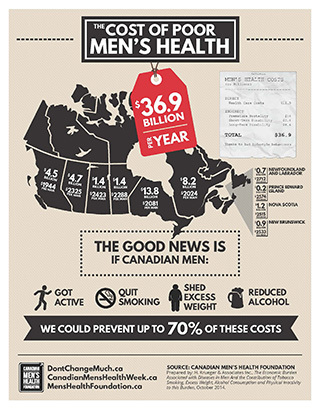 “ The Economic Burden Associated with Tobacco Smoking, Excess Weight, Alcohol Consumption and Physical Inactivity in Canadian Men” released Monday, June 15, 2015 shows that smoking, excess weight, over-consumption of alcohol and physical inactivity are some of the leading causes of chronic disease among Canadian men. The annual economic burden attributable to these four factors is staggering: $36.9 billion. Risk factor methods report and CMHF economic burden spreadsheets available upon request – click here to request.